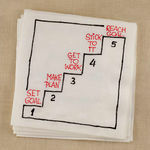 6 Tips to Help You Set and Reach Your Goals! I have been lucky to find work that I really believe is “worth doing”. I find great fulfillment in knowing I am truly helping others and work diligently to make sure the information I provide is of high quality. To that end, every year I look at what I am doing, personally and professionally, with a fresh perspective. I decide what I am happy with and what I need to change. It is then that I list my goals for the coming year. While most people practice this reflection at the start of a new year, I choose differently. For me, the start of a new school year and new beginnings go hand in hand. This began when my children were younger. I started my business when my two children were 9 and 10. Their summer vacation was my own “down time”. While I didn’t take the whole summer off, I did scale back. Work for clients did not lessen, but extras like developing new marketing strategies or networking meetings were put on hold. However, when summer break was over, it was time for all of us to “get back to work”. Despite no longer having children heading back into the classroom, this time of year still feels that way to me. To make that transition, at the end of every August, I write a new list of goals. This list keeps me on track and helps chart my progress. 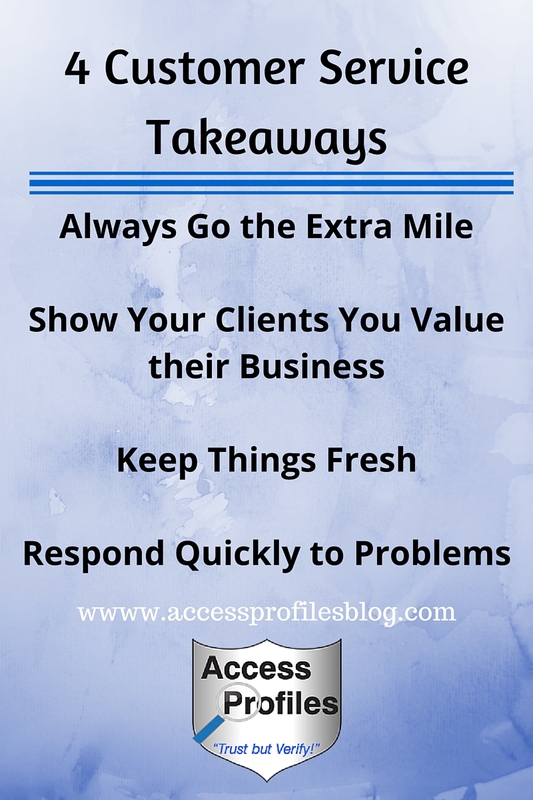 When forming my list, I follow these 6 Tips. These steps continue to help me, and I think they will also be valuable to you. Think Big- Set your own bar high and reach for what you truly want. Visualize - Picture yourself in 1 month, 1 year, 5 years from now. Where do you want to be? Now decide how to get there. Be Specific - The more precise your goal, the more likely you are to achieve it. For example, instead of listing “get new business cards” as my goal, I wrote “consult with Penny on new logo”, “look for small business to design my cards”, etc. Be Realistic - Understand and recognize that achieving your goals will take hard work. Nothing can be accomplished overnight. Care - Reaching a goal you really don’t care about is near impossible. Make sure it is something that will truly make a difference to you and your business. 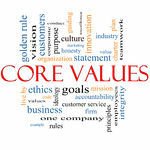 It is also important that it is consistent with your core values. Write Them Down! - Keep your goals handy and read them daily. I type mine on the “notepad” of my laptop and it is the first thing I open up each morning. No matter when you choose to set your yearly goals, make sure they are in line with the kind of person you want to be and the kind of business you want to run. If you keep that in mind, you can’t go wrong. I wish you success! If you would like more tips on running your Small Business, be sure to visit my blog - and leave your email so you automatically get every new article! I would also love to connect with you on Facebook, Twitter, and Google+! 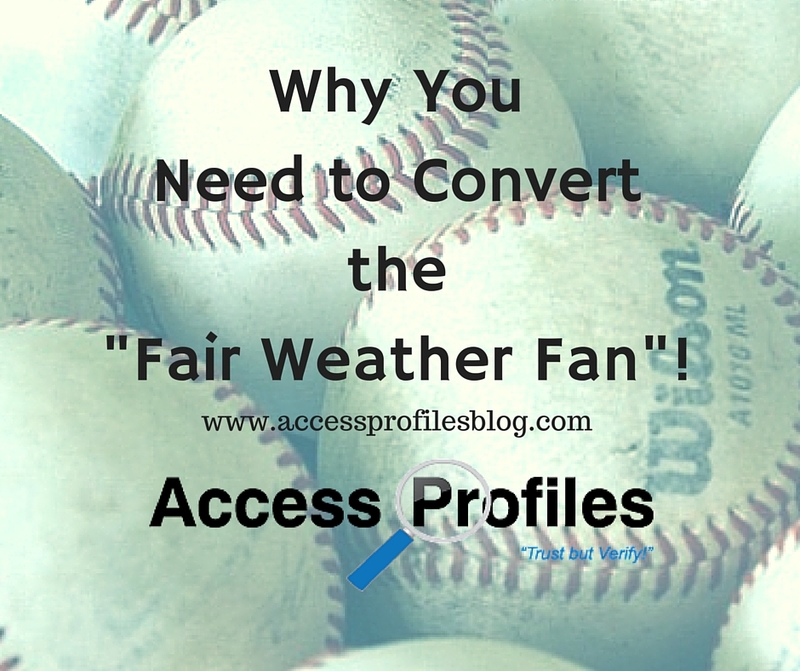 Why You Need to Convert the “Fair Weather Fan”! where we have wonderful professional and college sports teams. Year round you will find me totally focused on any number of games and wildly cheering my teams on. Win or lose, they have my support. Simply put ~ I am not a “fair weather fan”. I believe in supporting my teams no matter what. I will wear their team shirts, follow their fan pages, and read their latest articles. For many years our baseball team had not garnered the same attention our football and hockey teams have enjoyed. They had not been over .500 in years. But these past few years have been different. Now we are mentioned on sport’s news channels. Our players are gaining national fans, not just local ones. It has been fantastic and exciting. Where were they when times were tough? Even in those “lean” years, I have watched many wonderful and exciting baseball games from my team...and I have enjoyed each and every one of them. how often this same thing happens in business. Many are drawn to the “next big thing” or the latest fad. Companies can seem to be overnight sensations. This sudden surge in sales or interest is certainly to be enjoyed and relished - after all, it happens infrequently. There is understandable excitement in suddenly reaching a larger audience or gaining new customers. Any business would welcome this new found interest. The problem is that many times the “fair weather fan” is fickle. Just as quickly as they came in, they will move on. Top Value is Found in Your Long-time Clients! "Tweet This"! However, Real Value can be found in those clients and customers that stand by you through thick and thin. Many have been facing a “down” economy on a national and local level. Companies are struggling to stay afloat. Through it all, I have been able to form an even stronger relationship with my clients. I am lucky. My clients have stuck with me and I have stuck with them. They know I have been flexible with their cash-flow issues and, in return, they have worked with me through my bouts with cancer and back surgery. That is why my ultimate goal is to convert any “fair weather fans” into loyal, long-term customers. It should be your goal too. Always Go the Extra Mile ~ Just delivering the status quo will not make you stand out. Find even one thing, and consistently do it better than your competition. It will be noticed and appreciated. Show Your Customers You Value their Business ~ Send thank you notes or little gifts (and not just during the holidays) to express your gratitude. Offer good customers special perks. Even a little here can go a long way. Keep Things Fresh ~ Update your services. Start a blog. Do whatever it takes to continue to move your company forward. Remaining stagnant, or even worse, loosing ground, will hurt you. Respond Quickly to any Problems ~ Mistakes happen. It is what you do after that will define you. Be sure to put all your focus on making it right, and create a plan of action to keep it from happening again. While the excitement of something new is what may draw clients initially, keeping them takes more work. You need to prove that you are not just interested in making that initial sale, but in truly helping them succeed. Offering quality and service over the long haul is what will win out. is where true value lies! API can Help You with Your Small Business! You and Your Small Business! O’Friel Consulting in This Week’s “Small Business Spotlight”! Robert O’Friel started O’Friel Consulting in early 2012 with a goal to offer Personal Development Coaching. His focus was to help people ready to make a change or a transition in their life. O’Friel Consulting has evolved to also include Small Business Consulting services. O’Friel works with Small Business Owners to help them tap into the expertise and ideas of their employees. Robert pulled on his 22 years of experience coaching, leading, and managing people as the foundation for O’Friel Consulting. He had also dreamed of starting his own business, so combining these two goals was natural. Recently, Robert invited a long term colleague, Lorraine Diamond, to join O’Friel Consulting. Lorraine’s passion for coaching, background in management, and her operational experience are added benefits to O’Friel. With their one on one coaching, O’Friel Consulting can help You gain a clear picture of your situation. They will organize your thoughts in a logical manner and encourage you to consider your options for moving forward. O’Friel’s personalized approach will help guide you toward whatever you are trying to accomplish. O’Friel believes many people want to change their situation in life. Some have no idea how, while others have very specific ideas, dreams, and goals in mind. In either case, O’Friel will help you decide upon a destination and develop a specific plan to get you where you want to go. They will hold you accountable to yourself, and cheer for your victories and accomplishments along the way. O’Friel also works with small business owners and employees to strengthen their work environment. By proactively engaging employees, employers are able to tap into their insights and talents to help improve the business culture and quality of their product or service. That is where O’Friel Consulting can help. Robert and Lorraine will design a plan to gage the culture and morale of your workplace. By gathering data and feedback directly from your employees, they are able to give a small business owner a comprehensive report of what is working and what needs to be worked on to improve their employee’s overall satisfaction. O’Friel Consulting’s goal is to help small business owners turn their employee’s concerns and suggestions into profits! Whether you are looking for coaching or help with measuring employee satisfaction, your initial consultation with O’Friel Consulting is always free. There is no risk. To find out more about what O’Friel Consulting can do for You, be sure to check out their website or contact them by phone or email. They would love to help You reach your Own Success! For more articles in my “Small Business Spotlight” series, please visit my blog and website! I would also love to Connect with You on Facebook and Twitter! Cinco Squared is this week’s “Small Business Spotlight” featured Company! Want a unique way to fundraise or reward your clients and employees, Check Out Cinco Squared! Cinco Squared was launched by owner Dave Siedt in early 2012. Dave’s goal was to fill what he saw as a need for many businesses to better engage with their customers through their fundraising and marketing efforts. He saw many businesses that were frustrated with the high cost of existing marketing and customer service programs, with very little return on their investment. In Dave’s mind, there had to be a better way! Dave believed that he had found the solution, and Cinco Squared took shape. Cinco Squared programs provide their clients with ways to run fundraisers, create customer loyalty programs, and reward their employees. They perfectly combine customer engagement and business ROI through their “digital scratch and win” system. This system allows their clients to customize their prizes and rewards by offering literally “anything they want”. The uniqueness of the Cinco Squared system is in its flexibility. 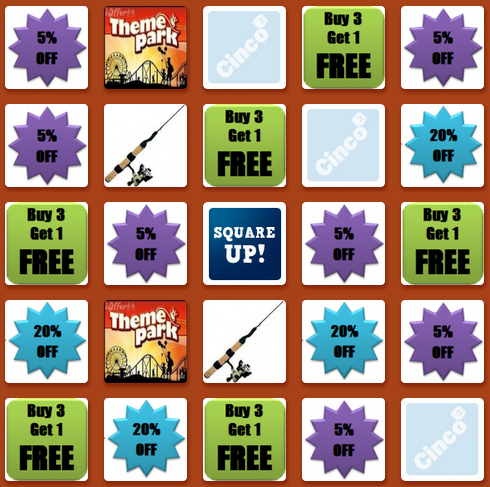 You define the prizes - local discounts, free admission, gift cards - really your imagination is the limit - and Cinco Squared helps you with the rest! You can also create and launch your program in minutes. Their system is designed to help businesses, non-profits, and even schools - all for as little as $7 per month. Uses include fundraising, customer loyalty programs, and employee and student rewards. It can also serve as a lead generation tool for trade shows. Dave realizes that non-profits are in a difficult situation. Reductions in volunteerism, more competition, and a weakened economy have stretched their resources. He also knows that traditional methods of fundraising are flawed - often yielding little profit. Cinco Squared gives non-profits the ability to raise money much more effectively with less time, money, and resources. It is perfect for organizations such as Fire Departments, booster clubs, scouts, foundations, community events, and religious organizations. Businesses realize that Customer Loyalty programs and Coupons are great ways to retain customers and increase sales. However, they can be very costly, which is prohibitive for many Small Businesses. Cinco Squared gives businesses the ability to generate branded “SquareUp Cards” that they can give to customers or potential customers for a chance to win prizes and discounts. No other marketing method offers a better return on investment or requires the less resources than Cinco Squared. Companies and Educators are always looking for ways to boost employee/student performance and morale. They want something that both provides incentive and is entertaining. Cinco Squared is the answer. Cinco Squared give companies and educators the ability to create customized reward certificates that can then be redeemed for prizes. By awarding these certificates, companies and schools are helping to generate excitement and offering an incentive for hard work. Be sure to read more in the “Small Business Spotlight” series in my blog (leave your email while you are there so you don’t miss a thing!). 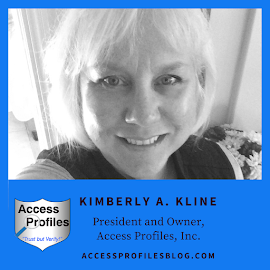 You can also find out about my own small business, Access Profiles, Inc., by visiting my website and I would love to connect with you on Facebook and Twitter! 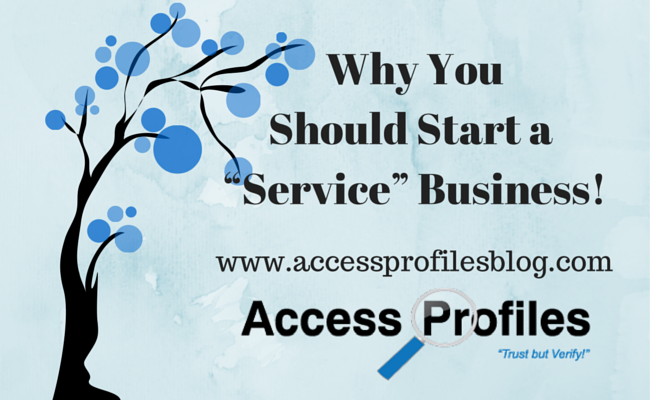 Why You Should Start a “Service” Business! When I first started my company, I was thrilled to be running a business selling Background Check services. As time has gone on, I have continued to be happy with my decision. And I have found running a Service Business to be especially fulfilling. I am able to truly be a part of the success of each and every one of my client’s businesses. Helping them hire safely and effectively has really given me a sense of accomplishment. One advantage in providing a service is that you are able to draw on your own knowledge and skills and turn them into a marketable asset. My background in professional writing is especially helpful to me. I am able to write effective copy, create forms specific to my needs and write my business blog. There have also been practical “pros”. Having a business that provides services over one that sells items enables me to have a low overhead. I do not have inventory, production costs, and storage issues. Most likely my utility costs are also minimal in compared to companies that produce a “good”. A service-based business is also easier to run out of my home. I needed very little space to set up a work station - and also a minimal amount of equipment. A computer (it was a desktop in the beginning! ), printer, fax (which I have since eliminated), and office supplies, were all I needed - and I was in business! This was especially helpful during my initial set-up phase. Most of us that start our own businesses are “cash poor”. Not having to invest a lot of my own money was invaluable. However, I also found some “cons” in deciding on a service-based business. Selling services instead of products is definitely less “visual”. Because of this, using social sites like Pinterest is much more challenging. I have had to be creative in finding ways to post that would appeal in a visual way. I found including pictures in my posts to draw the eye or relevant infographics related to my article were crucial. I also believe it is easier to grasp what it is you are selling when it is a product. It is clear what it is and how that product will benefit you. Instead, I have to continually work to illustrate the benefits of my background check services - especially to small businesses. Of course businesses that sell “things” have to also deal with proving their product’s worth, but it is still more tangible and concrete than the idea of a service. This is certainly a challenge I have to face. Finally, it is easier to justify the price of a product over that of a service. When setting your prices, you can take into consideration production costs like materials and labor. Pricing my services is much more elusive. I determine the costs of my services on less tangible factors. I need to take into consideration my time and my knowledge. When meeting with clients, this is much harder to convey. I have second-guessed myself often over the years because of this. I have finally come to realize that I when I place more value in what I have to offer, so do my clients - but this was a long journey. Despite these obstacles, I have found both enjoyment and fulfillment in running my own “service” business. And I have found I love what I do, and I believe you can too! If you have jumped into a "service-based business", let me know. I would love to hear about your journey! Find more tips and information on Small Business by visiting my blog. Leave your email and you will not miss an article! 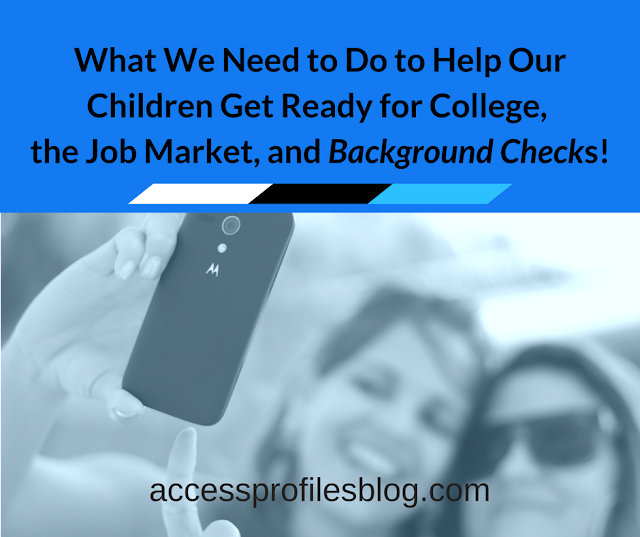 Also check out my website, www.accessprofiles.com, for more about how Background Checks can Help you Succeed in Your Own Small Business! Thanks! Have you ever met the dream candidate? The one with the flawless resume and the best credentials, the one that companies try to steal from their competitors by offering large salaries and great benefits? Without the right cultural fit, that same dream candidate can just as easily turn into a nightmare by the time he or she signs on the dotted line and props his or her feet up on the mahogany desk in his or her corner office. Company culture is a “special blend of values, visions and missions” that is developed over time with a company. While skills, abilities and knowledge are all important, they can be acquired, modified or enhanced. They are not the primary contributions to a company’s success – culture is. Cultural fit is one of the most important factors in hiring decisions, and a candidate’s personal and professional values certainly tie into this. A company's most valuable asset is its people. And once you've put in the time, money and hard work to ensure you have an engaged and productive team, you don't want to upset that balance. Today, it’s not just about finding the person that can do the job, but also about finding someone who can fit into the corporate culture. Your company culture is the foundation on which everything you do rests. It acts as an unwritten set of rules that drives behavior and cohesion across the company. While certain knowledge are going to be the price of consideration for certain positions, if a candidate is not going to fit the culture of the company and department, even possessing the most skills and knowledge will not ensure success in the long run. One of the more stressful tasks that managers face is hiring or replacing employees. Companies have become more strict about who they hire today than in previous years because of the economy and the cost of hiring. If you choose the wrong candidate, then it takes time to replace them, while your current employees have to fulfill those unresolved tasks until the job is filled. Communication is Key! This means communicating to your hiring manager about what you’re looking for in a candidate and communicating to potential candidates about the qualities they must possess in order to be a good fit. If you don’t know what you’re looking for, it’s going to be difficult to find it. Knowing what characteristics, skills and personality traits the ideal candidate should possess in order to be a successful, productive member of the team is imperative. Taking an “I’ll know it when I see it” approach to hiring can result in a lot of wasted time interviewing the wrong candidates, time that could be better spent getting to know the right one. For more on this, read our post, "Why Assessment Testing is Critical to Your Success." It’s imperative to include your current employees in the hiring process. Whether it’s picking key employees to interview the candidate or setting up a meet-and-greet with the team, seeing how a potential new employee interacts with current employees can help ensure a stronger cultural fit. Another approach to incorporating the current staff is asking for referrals from the staff; this will assure that you are getting people they want to work with, and it’s highly cost-effective. The best way of screening job candidates who may have the necessary experience, but don’t quite fit your culture, is a well-written job description. Learn how to write a truly well-written job description by downloading our free eBook! It’s important to not only describe the tasks, skills, knowledge and personality traits it takes to do the job, but also what the result measurements are that are utilized to assess the quality of work. This in turn will hopefully give the candidate some insight into the environment in which the work will be done. Ensure hiring managers are engaged. Interviewing can be a lot more difficult than some might think. Anyone can ask questions and have a conversation with a job candidate, but an experienced hiring manager is trained to pull out the key pieces of information that help develop the most accurate assessment of whether or not an applicant is right for the job. Ensure everyone is on the same page about exactly the kind of person you’re looking for. Define the questions that are relevant to your culture. There’s really not a “one-size-fits-all-company” question. It’s important to think about your own culture and what’s most important to you in a new employee. Describe the best boss you’ve ever had and why. What does your ideal role entail? Remember, an employee who excels in one environment can struggle in another. So when interviewing, it’s not always about if can someone do the job, but do they want to do the job and do they want to do it within your company. Written by Excelsior, Inc.'s Director of Talent Acquisition, James Moore. Read Excelsior’s blog here (http://www.excelsiorp3.com/blog/). If you would like more tips on Small Business, I can help! Please visit my blog and be sure to leave your email - I would love to hear from you! You can also reach me through my website and Let’s Connect on Facebook and Twitter!